Fires are a major risk to property owners in Parma, OH. This is because of the disastrous effects that fires themselves can cause, as well as the damage that the resulting smoke and soot can lead to. 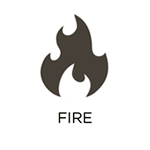 At RestorationMaster, we address all of these elements through our fire damage restoration services. Our technicians utilize advanced techniques and equipment to fully restore your building and its contents. We always respond to fire damage emergencies 24/7 in order to address the situation swiftly. Excess water and moisture are leading causes of property damage in Parma, OH. Whether the event arises from a burst pipe, overflow, sewage backup, leak, or something similar, we can help through our water damage restoration services here at RestorationMaster. We are available 24 hours a day and respond rapidly to address the root of the problem. We will then continue to clean and restore any affected structural elements of your building, as well as your personal belongings. In Parma, OH, property owners experience all four seasons. 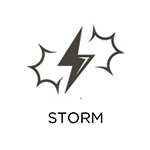 As a result, they are also exposed to a variety of different storms that can wreak havoc on their homes. At RestorationMaster, we offer storm damage restoration services to secure your property until long-term restoration solutions can begin. We will stabilize any damaged structural elements of your building and cover any openings. This protects your building and belongings from outside elements and provides safety to everybody within the building. 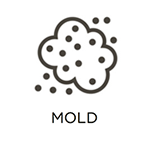 Mold growth is as common in Parma, OH, as it is difficult to remove. This is because of the ease with which it can take hold and spread. When it does, it poses a risk to your building, personal items, and health. At RestorationMaster, we offer mold remediation services to find all sources of mold on your property and eliminate them. We do this using advanced mold testing equipment, and effective removal procedures. Once the mold has been isolated and removed, we will work to restore affected areas and belongings. At RestorationMaster, we offer trauma and crime scene cleaning services to property owners in Parma, OH. When traumatic events and crimes take place on your property, they can expose you to dangerous biohazard materials (such as blood, bodily tissues, etc.). Using specialized equipment and procedures, we safely remove these hazardous elements from your property. We will then work to fully sanitize and restore affected areas and belongings to return them to their original condition. 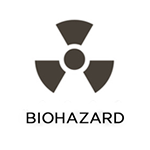 It is possible for people to be exposed to dangerous biohazard materials in residential and commercial settings. 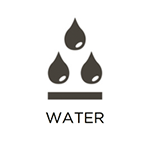 Common examples include bodily fluids, chemicals, sewage, and similar elements. What these materials have in common is the ability to transfer diseases and infections when handled improperly. For this reason, state health and OSHA regulations are in place to ensure that they are disposed of properly. At RestorationMaster, we abide by these rules and regulations when providing our biohazard cleaning services in Parma, OH. We will remove these dangerous elements from your property, and fully restore any affected areas and belongings. In Parma, OH, there are a number of events that can lead to extensive damage in commercial settings. At RestorationMaster, we often respond to cases of fire damage, smoke and soot damage, water damage, mold growth, and similar scenarios on commercial properties. To address the unique challenges that commercial property owners face in these situations, we offer efficient and effective commercial restoration services. No matter the scale of the damage involved, we will fully restore your building and its contents.